BelarusDigest > All > World Ice Hockey Championship in Belarus: Evil or Opportunity? This week the General Congress of the International Ice Hockey Federation (IIHF) in Tokyo may come back to the issue of 2014 Championship in Belarus. But despite an international campaign to move the Championship out of Belarus, the relocation is highly unlikely. Given the strong opposition of IIHF Council and reluctance of national ice hockey associations to this idea, campaigners for the relocation should rather start thinking how to use the sport event to spread their cause, rather than keep investing in the campaign with an extremely low chances of success. European Parliament and US Senate called to pull the 2014 Championship out of Belarus unless authorities release all political prisoners. However the Council, IIHF's executive body, strongly opposes the idea of depriving Belarus of its right to host the championship. “We should not be used as puppets for politicians or activists; sport cannot and should not be a political tool”, – IIHF head René Fasel expressed the Council's view in May 2012. A similar call from yet another prestigious international body (OSCE Parliamentary Assembly) that followed in early July, and additional European reaction that may follow yet another rigged parliamentary election, is hardly to change the view of the IIHF executives. On the other hand, the ultimate body to decide is not the Council but the IIHF Congress, IIHF's highest legislative organ, and theoretically there is time left for the decision to be made. Besides the semi-annual Congress that is taking place in Tokyo these days, two Congresses are to be held in 2013, until planned Championship in Minsk. However, the chances are extremely low that the voting (if it eventually takes place) would result in changing Belarus as a host country, basic calculations shows. According to the IIHF rules, the Congress decides on relocation by simple majority, with 52 representatives of national ice hockey associations and 11 Council members entitled to vote. Thus, if quorum in place and all the Congress representatives cast a ballot, then 32 votes in favour are needed for the decision to be definitely adopted. Among 27 EU member states, 23 national ice hockey associations are full members (all except Portugal, Greece, Cyprus and Malta). Along with the USA and Canada, this makes only 25. Therefore, for a definite majority, not only ice hockey associations of all EU member states and North American democracies should vote in favour, but also (reasonably), of states associated with the EU and other democracies like Croatia, Iceland, Norway, Switzerland, Liechtenstein, plus Australia and New Zealand. However, sport matters differ from politics and such level of support to the relocation by democratic states is hard to expect. Indeed, national ice hockey associations seem to be very reluctant to move the relocation issue forward. At previous Congress in Helsinki no one even raised the issue of replacing the 2014 Championship, despite a year-long lobbying efforts made, including by ex-hockey star Peter Štastný, now member of the European Parliament and an active advocate for the relocation. Although the cause of the relocation campaigners is noble and Belarus, beyond any doubt, lacks respect for even basic human rights, the campaign as such seems somewhat murky and inconsistent. First, the matter of prioritising. Campaigners made the championship conditional not only on the political prisoners release, but a number of other preconditions that are hardly realistic for the authorities to implement in near future. They include, among others, a moratorium or death penalty abolition and improvement of registration procedures for independent NGOs and political parties. This is a comprehensible intention given that most of the campaigners are human rights organisations, including Norwegian Helsinki Committee. However, adding many democracy and human rights preconditions seems to compromise the idea of an effective pressing on the regime. In the given case a limited priority (political prisoners release and rehabilitation) would be a more reasonable attempt to bring a change. Death penalty abolition is a an especially awkward precondition taking into account other IIHF member countries with death penalty also hosting world ice hockey championships. Second, weak and misleading reasoning why mix of sport and politics in this case would have a positive implication. In the letter to the IIHF Congress the campaign's intention is explained by "the most alarming human rights crisis" since country's independence. According to the petition, a removal of the championship from Belarus would allegedly support the victims of human rights violations, without a basic explanation how. The argument on regime legitimisation is worth a closer consideration. In terms of external legitimisation, hosting a sport event would hardly contribute to the legitimisation in the eyes of international community. Apartheid regime in South Africa didn't acquire additional support on international arena because of the Formula One competition (partly boycotted though) in 1985. Internal legitimisation here probably matters more, with hockey being a favourite Lukashenka's sport and well-spread state media propaganda. These more detailed points on legitimisation are not in the on-line petition though. It only says that hosting a prestigious sport event would “support and legitimise a regime”. Failed relocation of the championship is not a reason to lose heart for the friends of Belarus, but to devise ideas how actually use it to influence the regime in a desired way. First, Championship would revive discussions on the urgent need of visa regime facilitation between Belarus and the EU. Russian authorities that are getting ready for the winter Olympics in Sochi in 2014 have already announced a possible temporary visa-free regime for the foreigners. Belarus may follow the move if it wants to see its arenas and hotels full of Western tourists, not only CIS countries' citizens. By the way, in the letter to the IIHD Congress the relocation campaign promises to “campaign for visa charges to be waved for Belarusians if the championship is relocated”. Quite opposite, holding the championship would help making the visa issue more visible and press the government for prompt negotiations with the EU on visa regime facilitation. Second, saying that to hold the championship means IIHF reward of Lukashenka's crackdown on freedom of expression means a deliberate surrender to the regime in communication sphere. There is a need of a good communication strategy to tell the Belarusian public that international community and hockey stars stand up for human rights, and holding a tournament has nothing to do with accepting Lukashenka's political practices. Third, the tournament would put the spotlight on Belarus. Political prisoners and torture is not something apparently visible to foreigners on arrival to Minsk. There is a need for the global press not to miss an opportunity to highlight the sensible issues that surround sport and politics in Belarus. In the end of the day, the world championship is not hosting a local football game where police lawlessness is a common occurrence. Imagine press stories and scandalous pictures with security officers or policemen forcefully dragging the hockey fans with white-red-white flags out of the arena. Either Belarusian authorities accept the championship as a certain 'iceland of freedom', or show themselves in a very unpleasant way to the hockey partners and world hockey community as a whole. In early September, the first ever signs in English appeared in the Minsk metro. In June, first bilingual street signs appeared in the centre of the capital. These are important developments. Belarusian officials have talked about attracting foreign investors and tourists for many years. But until recently virtually all Belarus street signs were only in Cyrillic script. Moreover, the knowledge of English among Belarusians remains low. A few years ago Aleksandr Lukashenka criticised this situation. He joked that Belarusian secretaries hang up on callers upon hearing English. In government agencies and state-owned industries, few people speak English. However, new prime minister Mikhail Myasnikovich and his deputy Syamashka both claim English proficiency. But Belarus has a long way to go to become a foreigners-friendly country. 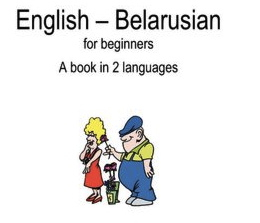 English as a foreign language is relatively new for Belarusians. Thirty years ago, speaking a foreign language meant speaking German. The German connexion is still strong today. German civil society organisations and political foundations work with Belarusians despite all political tensions. The Goethe institute maintains German libraries even in provincial centres. The only British Council office in Belarus – in Minsk – was closed in 2000. If this is the language Belarusian diplomats use professionally, no wonder the results of Belarusian diplomacy are so pitiful. To be sure, Belarusian representatives abroad lack more than knowledge of English. Recently, Belarus trade adviser in Tehran was caught on the video sleeping at the summit of Non-Alignment Movement. The web presence of all Belarusian governmental organisations suggests that Belarus has little interest in foreigners. For example, the latest piece of news translated into English on the web site of the Belarusian government at the moment this text is being written, dates back to 9 July. The very first page of Belarusian Ministry of Trade contains a series of news titles in Russian, each followed by the English remark “The resource is available only in the Russian version of the site.” English pages of other governmental agencies and organisations look similarly, revealing negligence and poor qualification of responsible officials. But the most illustrative is the English-language web site of the leading governmental think-tank with a long name Informational Analytical Center Under the Administration of President of the Republic of Belarus. It should per definition have had higher intellectual potential, linguistic and PR skills than the ministries which might be too preoccupied with everyday business. However, its site displays only the center’s name and logo. Our sources say, just a couple of low-level analysts on the centre’s staff speak English, though the director speaks excellent German. Language problems are no less dire in the business sector. In 2009, a journalist of the Belorusskaya Gazeta weekly called biggest Belarusian firms asking about investment portfolios and seeking creating a joint-venture. He spoke in English and only one enterprise, furniture producer Pinskdreu, was able to communicate. Belarusian government, business and all kinds of organisations and institutions lack even the basic facilities and policies to inform its foreign partners about their ideas and what they have to offer. They cannot make their case even in the most favourable condition in the West and even less – manage crises which regularly happen in Belarus' foreign relations. Apparently, a big share of problems in relations with Western nations stems from mutual misunderstandings and PR-mismanagement. And some of them begin with language. The government has such difficulties in contacts not only with the West. Iranian ambassador also complained about lack of English command in Belarus as a major reason for failure of Iranian projects in the country. The government is aware of language problem and two years ago started to increase amount of hours for foreign language instruction in schools. In 2013, it adds foreign language examination to the list of obligatory exams taken upon finishing the secondary school. Ideologically, the opportunistic Belarusian regime has no problem with more English, if it brings money and does not threaten its survival. Lukashenka has declared at the very beginning of his rule in 1994, "There are only two great languages in the world: Russian and English." For now, however, the Belarusian officials speak only Russian and keep looking towards Moscow. Only after Belarusian bureaucrats and businessmen will learn how to communicate with Europe, they will be able to adopt new practises. They have no aversion to the West and can review own beliefs if given an impulse. Even the most conservative part of Belarusian state apparatus – the army – implemented new organisational models after General Malcau learned them in Germany in 2000s. Belarusian officials and society shall have an opportunity to have a different experience of Europe.